It’s 10 pm on a Tuesday night, and not surprisingly, I’m working on a deadline. I know that I should never eat after dinner, but I’m craving pancakes, waffles, and all-things breakfast. Brinner is the norm in our household, and very often you’ll find me sneaking in something breakfast-related to help fuel my brain at half-past dark. This month is National Hot Breakfast Month which means you have permission to eat breakfast for lunch…or dinner…or any meal you desire! 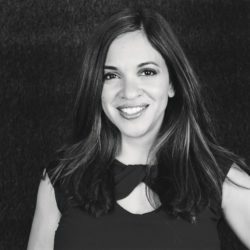 In a recent national survey conducted by Krusteaz, the brand found that 9 out of 10 Americans (91%) reported eating breakfast for dinner and 56% reported doing this once or more per month. Sixty seven percent of those with children reported having breakfast for dinner once a month or more. 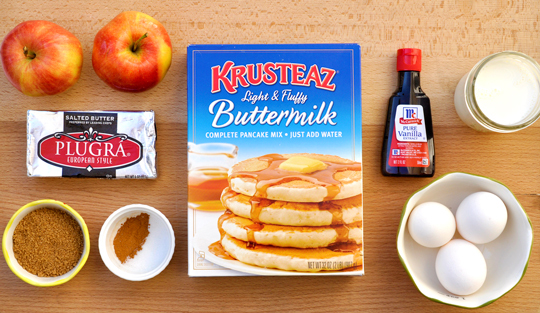 If you’ve been looking for an excuse to have breakfast for dinner, Krusteaz has an expansive selection of both sweet and savory breakfast recipes including pancakes, waffles, and muffins. 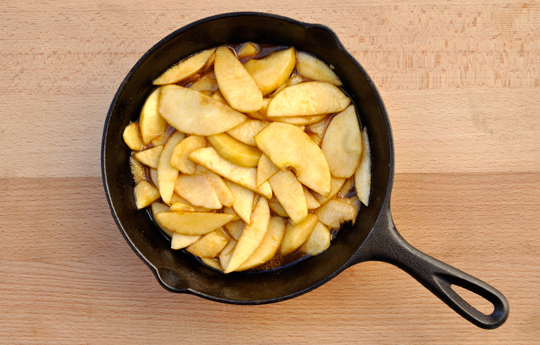 To celebrate National Hot Breakfast Month in our family, I whipped up a Skillet Baked Apple Pancake earlier this week. I sliced fresh apples and cooked them with butter, cinnamon and brown sugar, then layered them in a skillet and poured Krusteaz’s Buttermilk Pancake Mix whipped up with eggs, vanilla, and half and half for a fluffy finish. 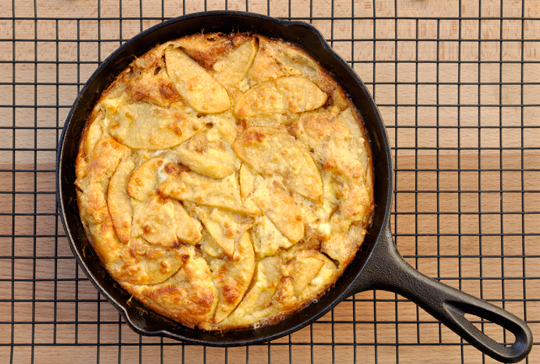 Here is my Skillet Baked Apple Pancake Recipe just in time for Breakfast Night this week! To prepare pancake mix, whisk Krusteaz Buttermilk Pancake Mix with salt, half and half, eggs and vanilla extract until combined. Do not over mix. Set aside. Coat apples with cinnamon and brown sugar. 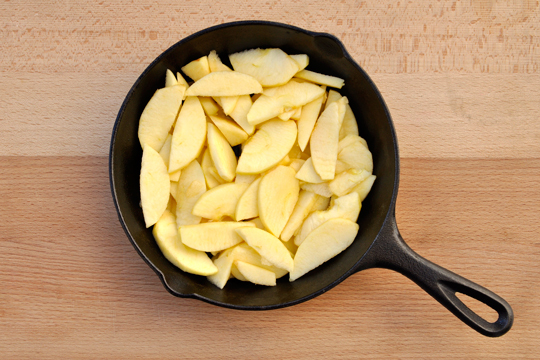 Over medium heat, sauté apples in butter until soft. 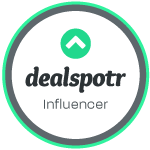 Prepare cast iron skillet with nonstick cooking spray. Bake Apple Pancake at 425°F for 20-25 minutes until pancake has puffed up and is browned. What is your favorite Breakfast Recipe? Here are 5 of my favorites courtesy of Krusteaz! In honor of National Hot Breakfast Month, your challenge is to serve a hot breakfast at least 3 times this week! For additional inspiration and ideas, visit Krusteaz.com.